Great to be part of Team Beeston! 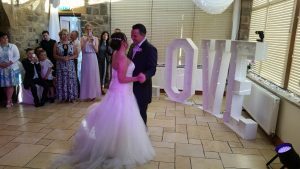 Beeston Manor is a lovingly restored 16th-century sandstone barn, making a fab family run wedding venue in Hoghton, Preston (close to Samlesbury). 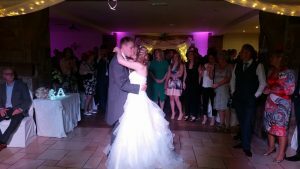 Andy B Events have a great working relationship with the Bickerstaffe family who highly recommend us for all your DJ & entertainment requirements, especially for wedding parties, & we also cover just about every other type of celebration too! 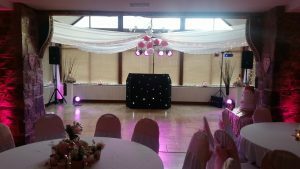 As well as Beeston Manor, we cover wedding venues throughout the North West. 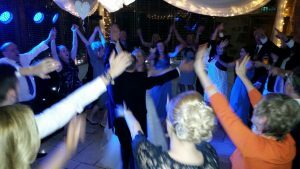 Our recommended DJ’s are professional, reliable & friendly, tailoring the music to your party. 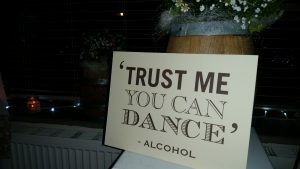 couldn’t resist getting a snap of this! Feeling the LOVE with Mr & Mrs Green!